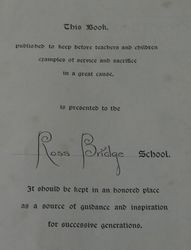 The Education Department`s Record of War Service was presented to Ross Bridge School in memory of those who served in World War One. 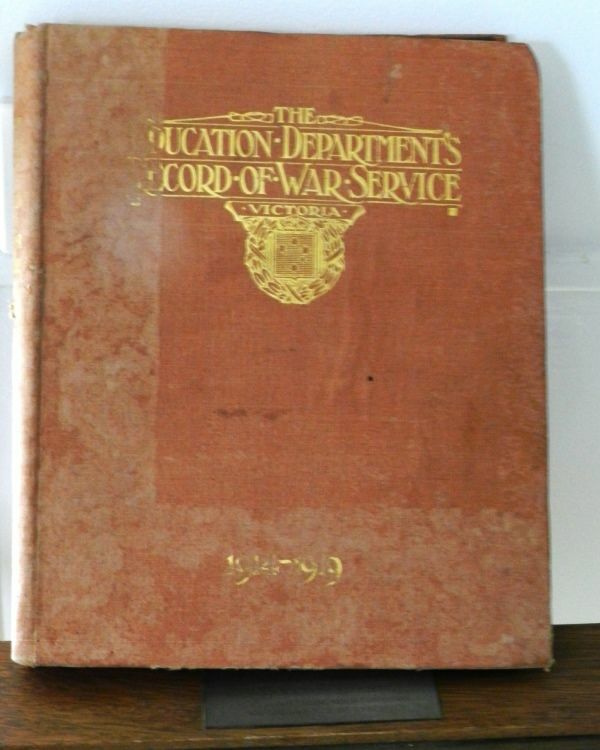 The book expresses the significance of the work which teachers (overseas and at home) and scholars in the schools undertook during the Great War. The book is a historical record of great importance, expressing the significance of the work which teachers (overseas and at home) and scholars in the schools undertook during the Great War, and points the way of service and sacrifice for all time. A copy is to be placed in every school in Victoria. One is to be given to every soldier teacher, and one to the next of kin of those of the teachers who made the supreme sacrifice. Gippsland Times (Vic), 3 November 1921.